DMA'S Release Heartbreaking Music Video for "Step Up The Morphine"
DMA'S released a video for their track "Step Up The Morphine," off their debut album Hills End. The track, written in tribute to the passing of Johnny's grandmother, is a telling narrative on the meaning of life and impact of losing a loved one. DMA'S release new video for "Timeless"
DMA’S have released their new video for “Timeless.” Filmed at an adult jazz event, the video stays true to its name by showing those of all ages coming together in the name of fun, music, and of course, beer. The Mitch Grant directed video is shot entirely in black and white, and reminds viewers that you are never too old to have a good time. Check it out below and be sure to pick up a copy of Hills End out now. If you've listened to the album, seen them live, or heard them on the radio, you're probably familiar with DMA'S iconic arena sound. 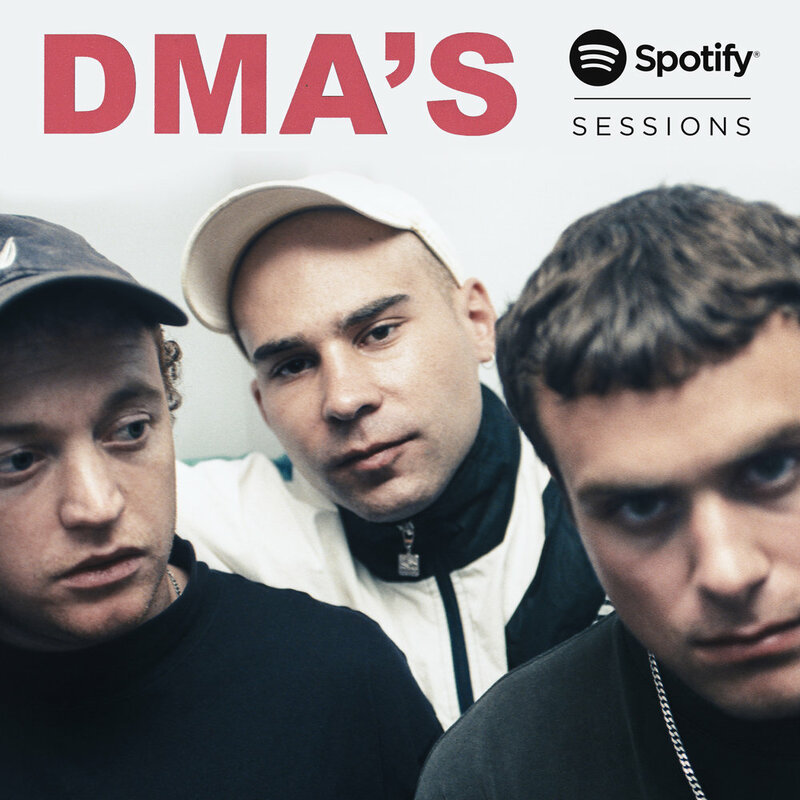 Today, DMA'S have released a live acoustic session on Spotify. In these recordings, DMA'S strip down their set to the bare bones, resulting a more intimate performance. The result is strikingly different from the full band versions while maintaining the emotional power we've come to expect from DMA'S. After two months of touring in support of their new album Hills End, DMA'S are gearing up to play a sold out tour in Australia. They wrapped up their U.S. tour with two legendary sets at Coachella, but before they headed home, they swung by NPR'S World Cafe studios to record a 4-song mini set of some of their hits. Following a stellar performance on The Late Show with Stephen Colbert, DMA'S have released a music video for their infectious song "In The Moment." You may recall the song from when it premiered on Zane Lowe's radio show as the day's "World Record." DMA'S stopped by The Late Show with Stephen Colbert to perform their hit single "Delete" off their new album Hills End. Today's the day! DMA'S released their much-anticipated debut album Hills End. The album includes songs from the band's EP like "Delete," plus new tracks like "Too Soon," "Lay Down" and more. DMA'S premiered their new track "In The Moment" with Zane Lowe's Beats 1 radio show. Zane selected the song as the day's World Record and hailed it as, "Another brilliant song from a band called DMA'S who seem to be building a steady collection of them." DMA'S premiered the music video for their latest track "Too Soon" today with Stereogum. The video is straight forward but striking, using minimalist visuals that highlight the overall mood of the track. Noisey premieres DMA's new video for "Delete"
Australian trio DMA's premiered the new video for their song "Delete" on Noisey today. "Delete" is a single off DMA's upcoming album Hill's End, due on February 26. DMA's have announced the release date for their debut album, Hills End. The album will be released on February 26th. DMA'S Release New Video "Lay Down"
The DMA’S have released their brand new video for their newest single “Lay Down,” directed by Tristan Jalleh. 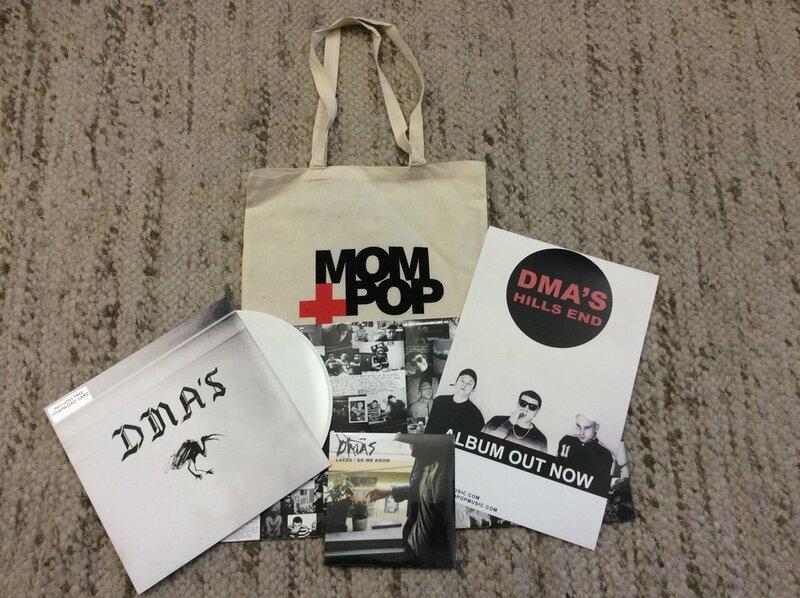 You can get the “Lay Down” single now on iTunes and purchase DMA’S EP, which is pressed on white vinyl, at the Mom + Pop store. Check out the video for “Lay Down” here. The DMA'S recently premiered their new single "Lay Down" with Annie Mac in the UK and Stereogum stateside who said of the track, "'Lay Down' sounds like it could’ve been included on Second Coming, but its unique fervor almost reshapes the very best of the “Madchester” scene into something totally new." "Lay Down" will be included in the band’s debut album, set to arrive next year. DMA'S debut their psychedelic new video, and according to The FADER, it's "going to make you trip." In a good way, of course. Animated video for Australian guitar heroes' single 'Laced' explodes onto the screen. The highly-anticipated release from the boys from Australia features six catchy and blazing rock songs that will soundtrack your summer. Check out the latest cut from the band's highly anticipated debut self-titled EP, out May 19th on Mom+Pop.